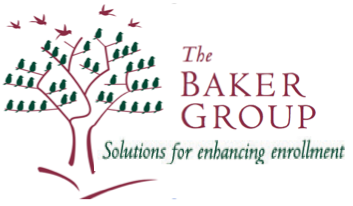 The Baker Group has recently partnered with AISAP to further support School Admission Professionals nationally. Read more about the partnership, the history of The Baker Group and the ongoing legacy of The Chatham Experience. Click here. The Baker’s Dozen and Ingredients for a Successful Enrollment Management System. After working with over 800 schools in the US and Canada, the Baker Group, the premier enrollment management consulting firm for independent schools, will share the top 13 ingredients and enrollment management lessons learned from schools who are embracing an enrollment management mindset. This is an interactive session, where attendees will share at least one ingredient to their school’s special sauce. The 23rd annual "Chatham Experience" will be held April 24 - 25, 2017 at the Wequassett Inn in Harwich, Cape Cod. January 26th – January 27th, 2017. Since founding the Baker Group in 1999, Chris has led schools through the country’s most economically challenging times, supporting their need to become more data-driven and research-based, and helping them develop school-specific marketing strategies that reflect coordinated schoolwide efforts. The 2011 SSATB Bretnall Award winner, Chris has been at the forefront of elevating the admission profession and advancing enrollment management practices in all types of independent schools. In 2012, Chris edited The Enrollment Management Handbook, an NAIS-published guide for trustees, heads of school, and admission officers. Having devoted 30 years of her career to education, Chris’ school and college experiences include serving as director of admission at Milton Academy (MA) for seven years and working for 10 years in the college admission offices at Boston College and Babson College. Registrations are now open for The "Chatham Experience" April 25-26, 2016 and The Crow's Nest Institute June 28 to June 30, 2016. Register for The "Chatham Experience" to be held at the Wequassett Inn in Harwich, Cape Cod. The 2016 Crow’s Nest Institute will be held Tuesday, June 28 thru Thursday, June 30, 2016 in Kennebunkport, Maine. Institute fees: $1,895 includes all programming and materials, 2 nights and 3 days at the Colony Hotel, breakfasts, lunches, and a dinner on Tuesday night. More details to come in the New Year. Chris will be the featured speaker at the NJAIS Admission Workshop and Fall Conference Tuesday, September, 29 hosted by The Delbarton School in Morristown, NJ. Chris will lead a workshop with approximately 50 Heads of Montessori schools on Monday, November 2 at their retreat on Cape Cod in Hyannis, MA. The game has changed for private schools given increased market challenges including: skyrocketing tuitions, shifting demographics, increased needs and expectations of families, and more available education options to families. Now more than ever, what needs to be at the core of institutional thinking and planning is a collaborative and systematized approach to admissions, market research, enrollment planning, retention and internal marketing, which are all essential enrollment management components. Illustrating our theme of "Game Changer" - from "Our Iceberg is Melting" by Harvard B School professor John Kotter, Fred the penguin is the main character on a quest to help his fellow citizens learn and respond to the changing environment. Conferencee Jill Lee, from Castelleja School in CA sent a photo of Fred saying she's back to work "getting her mojo on." In spite of the rainy Kennebunkport weather, the 16th annual crows nest was a “game changer” for its participants Who gave the three-day conference a stellar 4.8/5 rating! Thank you to all who attended and we look forward to seeing you again at a future Crows Nest Institute. November 2, 2015 - Montessori Schools of Massachusetts Heads of Schools Fall Workshop "Making the Leap from an Admission Mindset to Enrollment Management."